The fourth and last category of workouts (We’ve already covered endurance-, stamina-, and speed-based workouts in past columns.) is sprint-based training. These workouts enhance the body’s ability to run very fast when the muscles are inundated with lactic acid and improve running economy by developing the coordination between the muscles and the nervous system. Lactic acid tolerance sessions bring out your inner sprinter by teaching your body to recruit additional muscle fibers and become accustomed to that burning sensation in the muscles during all-out running. These fast intervals last between 30 seconds to a minute and are run at an effort you can sustain for two to six minutes. The recovery between repeats is relatively long—roughly two to five times the length of the hard running. Neuromuscular strides are much shorter than lactic acid tolerance intervals. Lasting between 10 and 30 seconds, they teach us quick leg turnover without building lactic acid in the muscles. Recover fully after each stride. The pace is fast but not all out. In fact, you should feel no leg burning or be out of breath. The sole goal is to focus on proper running form. Start on soft, even, flat terrain and after several successful weeks, begin to add gentle rolling hills to improve your uphill and downhill running form and leg turnover. Lactic acid clearing workouts are not necessary for the ultrarunner. It is rare that we are in situations where we must lean at the tape. However, neuromuscular training is key to efficient running. A stride workout of 6 to 8 times 15 to 20 seconds once or twice a week right after your easy or recovery runs will remind your body of what proper form should feel like without a hydration pack, water bottle, or waist pack throwing you off kilter. Strides will feel refreshing and recharge the legs a day or two after a long run. Whether your race course is flat or mountainous, hill workouts are paramount. Hill work is one of the best all-around workouts. The heart and lungs are challenged, leg muscles are strengthened, turnover is improved, and, depending on the length of the hill, the ability to tolerate lactic acid accumulation and stamina is developed. If done properly, these low impact workouts will leave you huffing and puffing, but your chances of injury are relatively low. To improve your VO2 max, find a hill with a medium slope (6% -10%) that takes 45- 90 seconds to ascend. Run up at an effort equivalent to your 5K race pace. Focus on good form with powerful push off and strong arm swing. Slowly jog down the hill to recover. Start with 4 to 6 repeats and build up to 12 to 14 reps.
Find a hill with a medium slope (6% -10%) that takes 90 seconds to 3 minutes seconds to ascend. Run up at an effort equivalent to your 10K to half-marathon race pace. Again, focus on good form with powerful push off and strong arm swing. Slowly jog down the hill to recover. Start with 3 to 4 repeats and build up to 10 to 12 reps. This workout will improve lactate threshold. During a long, hilly run approach each incline as a challenge. Regardless of the size, surge at 5K to marathon race effort to the top. Recover on the subsequent downhill and flat terrain. Adjust your pace and effort depending on the length and slope of each climb. This workout will not only increase your stamina, but will boost your confidence as your long runs grow in length. Find a trail or road that ascends for several miles and ideally gains between 300-1,000 feet per mile. Complete a total of 30 minutes to two hours of uphill running, steadily increasing your intensity as you approach the top of the climb. If no local paths fit this description, duplicate the climb on a treadmill or run repeats on a shorter hill. This is an energizing combination of short hill repeats and neuromuscular strides. Run hard up the hill, jog for 30-45 seconds, run a 20-30 second stride on flat terrain, and then jog back down to the bottom of the hill to begin the circuit again. Optimally, you should end up with 4 to 6 hills and 4 to 6 strides. I suggest repeating these hill workouts several times per season and track your fitness progression. Notice if you’re traveling farther and faster on the same slope you started with three months prior. Because we don’t all have access to optimal training grounds, we must work with what we’ve got. Bridge overpasses, parking garages, athletic fields, and treadmills will all do the trick if necessary. To the unprepared runner, long, steep descents can end the bid for a race finish or make it very difficult to be mobile afterward. Programming frequent downhill running sessions into your training schedule will prepare your quads for the thrashing they’ll take on race day. Find a hill with a medium slope (6%-10%) that takes a minute or two to descend. It is best to start on softer surfaces, such as smooth trail, grass, or dirt road. Stay away from rocky, technical trails for this workout. Like the uphill repeats, start with 4 to 6 and work up to 12 to 14 downhill repeats. Jog slowly or walk back to the top for recovery. You can also integrate this type of workout into a long run. Long downhill descents should last anywhere from a quarter mile to six miles. The more sustained downhill there is, the better. The objective is to make your legs ache in training to minimize race-day soreness. Schedule a long downhill session at least once every ten to 14 days during peak training. Muscle memory for this kind of work fades after roughly two to three weeks. If you’re new to downhill running, start gradually with several short downhill repeat workouts. Training your downhill muscles too aggressively or racing without proper preparation will prohibit you from being able to train comfortably for weeks and may cause injury. One of the marathon’s most popular predictor of performance is the Yasso 800s Workout. Complete this workout as described and you’ll have an idea of what you can achieve on race day. We don’t have the same predictor workout in the ultra world. However, with the release of the new McMillan Running Calculator, runners unfamiliar with ultra-distanced events can now set more realistic goals for those events. Keep in mind that the calculator’s predicted numbers are only estimates. Real time results will vary depending on the course, the weather, race execution, and how you feel on a given day. A 5K runner is unlikely to run the 100-mile calculator provided time off of 5K training. You’ll need to train for the 100-mile distance to accomplish the posted equivalent time. However, knowing your potential finish time at an upcoming race based on a recent performance in another distance can help take the guesswork out of your race planning and ease some pre-race jitters. McMillan, Greg. “McMillan Running Calculator.” McMillan Running. Greg McMillan. 16 July 2012. Torrence, Ian. “Mastering Hills, Part II: Descents.” Running Times Magazine:. Running Times Magazine,. 16 July 2012. Torrence, Ian. “Mastering Hills, Part I: Climbs.” Running Times Magazine. Running Times Magazine. 16 July 2012. As ultra/trail runners it can be hard to know how to get the speedwork in, but this series really helps keeping it fresh and fast. Love it! Thanks for putting this up! 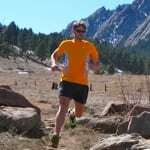 Hopefully many new coming ultra and trail runners will learn from these articles that traditional training is really of great benefits even when moving from a road marathon to a mountain ultra. Liquid Gold, IT. Thanks for offering this up. Folks, this is a professional coach sharing some good wisdom with everyone. Thanks, Ian. I use the McMillian calculator a lot. But have been wondering if the 26.2+ mileage calculations were just an expansion of road running times. I wonder if there would be percentage factor you could apply based on trail terrain and/or elevation gain for the those distances. I have had a lot of success with VERY short sprints. These are outlined a bit in Brad Hudson's book as a tool he used to rehab Rizenheim before Salazar stole him. And then there's the tried and true Tabata set. 20 seconds HARD, 10 seconds of panting, repeat x8. I live in mid-Michigan and the terrain I run on is slightly rolling hills. If I want to do mountain ultras I know I need a lot more hill intensity than that so I have started to do 2 sessions a week at the gym on a stairmaster "stepmill" which does seem quite difficult and seems to work the climbing muscles. Does this sound like something that would be of benefit? I don't seem to have any of the proper parking garages nearby but I could probably go to a local high school for some stadium stair repeats. Any thoughts would be appreciated!